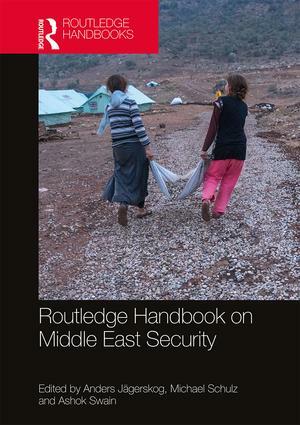 Routledge Handbook on Middle East Security provides the first comprehensive look at Middle East security issues that includes both traditional and emerging security threats. Taking a broad perspective on security, the volume offers both analysis grounded in the ‘hard’ military and state security discourse but also delves into the ‘soft’ aspects of security employing a human security perspective. As such the volume addresses imminent challenges to security, such as the ones relating directly to the war in Syria, but also the long-term challenges. The traditional security problems, which are deep-seated, are at risk of being exacerbated also by a lack of focus on emerging vulnerabilities in the region. While taking as a point of departure the prevalent security discourse, the volume also goes beyond the traditional focus on military or state security and consider non-traditional security challenges. This book provides a state-of-the-art review of research on the key challenges for security in the Middle East; it will be a key resource for students and scholars interested in Security Studies, International Relations, Political Science and Middle Eastern Studies.